A bipartisan team of senators is pushing new legislation to ensure the Obama administration’s "scandal-ridden State Department" comes under greater congressional oversight, particularly to ensure that it cannot hide instances of wrongdoing among employees, according to a copy of the new legislation. Sens. Tim Kaine (D., Va.) and David Perdue (R., Ga.) introduced legislation that would force the State Department to undertake a series of reforms aimed at increasing transparency and ensuring oversight authorities have the ability to route out malfeasance among employees. The Improving Department of State Oversight Act comes on the heels of multiple disclosures regarding the agency’s inability to police itself. It aims to ensure that sensitive State Department computer networks undergo security changes to protect against hack attacks that officials say occur "thousands of times a day," some having breached internal networks. "Conducting congressional oversight is critical to making Washington more accountable, and a good place to start is at the scandal-ridden State Department," Perdue said in a statement. The new bill would require the State Department to report to its Office of the Inspector General (OIG) all allegations of criminal and administrative misconduct among employees. Currently, however, the State Department’s OIG shares a computer network with the entire agency, meaning that State administrators can "read, modify, delete" any of the OIG’s active work. Lawmakers and the OIG have expressed concern that this set-up enables the State Department to interfere with oversight investigations or stop them outright. "They really have unfettered access to the system," State Department IG Steve Linick warned during testimony before lawmakers earlier this year. "If they wanted to, they could read, modify, delete any of our work." Perdue explained that the new reform legislation would remedy this conflict by providing the OIG with a fully independent network. "The State OIG must be able to conduct thorough, independent investigations on the State Department without obstruction from the very individuals who might warrant investigating," he said. "Making the OIG more independent is an important first step in turning our State Department from a liability into its proper role as a strategic foreign policy tool," Perdue explained. "This bipartisan bill will help make sure the OIG is fully independent and empowered to conduct critical oversight of the State Department’s IT systems and high-risk posts around the world." "The State Department has been plagued with problems, and it’s ridiculous that the State OIG does not have autonomy to investigate wrongdoing within the Department," Perdue told the Washington Free Beacon. "An independent OIG that is actually allowed to do its job is a necessary requirement in fixing a State Department that badly needs reform." A congressional source familiar with the legislation said that a measure to increase the OIG's autonomy could be introduced this afternoon as part of a larger bill to authorize State Department funding. "IG Linick testified that these are the type of reforms and autonomy he needs to be able to do his job effectively," the source said. "This amendment will likely be included in the underlying State Department reauthorization this afternoon at the full SFRC committee markup." Another critical issue facing the State Department is the mounting number of cyber attacks launched against it on a daily basis. 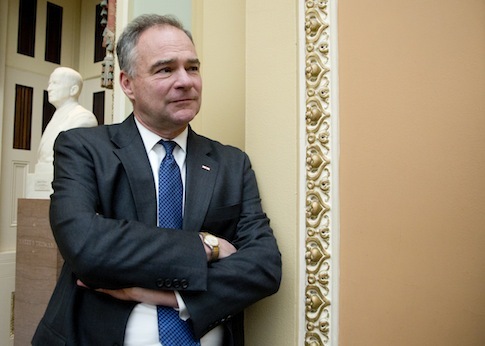 "This legislation would make commonsense reforms that improve oversight at the State Department and help protect the State Department’s Office of the Inspector General IT systems from external cyber threats," Kaine said in a statement. Additionally, the legislation would require the State Department to file a report disclosing the frequency of inspections of "high-risk" diplomatic posts abroad. A State Department official declined to comment on the new legislation, stating an organizational policy of not commenting on pending legislation. This entry was posted in Politics and tagged Inspector General, Obama Administration, State Department. Bookmark the permalink.